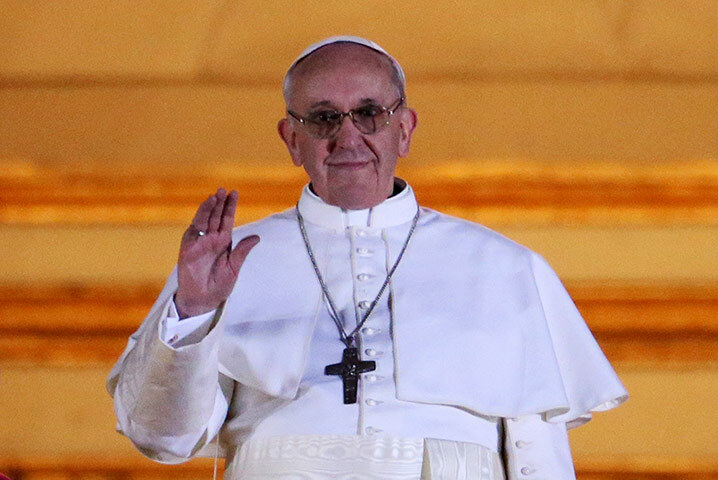 Jorge Mario Bergoglio, the archbishop of Buenos Aires, has been chosen as the new head of the Catholic Church. The 76-year-old becomes the first-ever pope from Latin America and the 266th pontiff of the Roman Catholic Church. He is the first non-European leader of the church in more than 1,000 years. He chose the name Francis - also a first in the history of the papacy. The Conclave of 115 cardinals elected him on Wednesday by a two-thirds majority, in the fifth round of voting. World Jewish Congress President Ronald S. Lauder welcomed Cardinal Bergoglio's election as the new pontiff of the Catholic Church. Lauder said in a first reaction: “On behalf of the World Jewish Congress and our affiliated Jewish communities and organizations in 100 countries world-wide I warmly congratulate Cardinal Bergoglio on his election as new pope. We look forward to continuing the close relationship that has been fostered between the Catholic Church and the Jews over the past two decades. "Pope Francis I is no stranger to us. In recent years he attended many inter-faith events co-organized by the WJC and our regional affiliate, the Latin American Jewish Congress. I personally met with him in Buenos Aires in June 2008. He always had an open ear for our concerns. By choosing such an experienced man, someone who is known for his open-mindedness, the cardinals have sent an important signal to the world. "I am sure that Pope Francis will continue to be a man of dialogue, a man who is able to build bridges with other faiths." The WJC president added: “During the papacy of Pope Benedict XVI, Catholic-Jewish relations reached unprecedented levels. This was due to his determination to continue the work of his predecessor John Paul II. The Latin American Jewish Congress also saluted the new pope. Its President Jack Terpins said: "We know how important this election is for the Catholic world, and it has also some relevance to Jews. We trust that with new pontificate the good relations and understanding between Catholics and Jews will become an example for others." 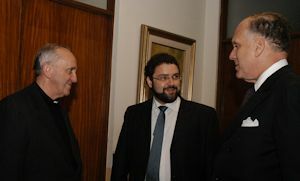 Claudio Epelman, executive director of the LAJC, said that the "Latin American Jewish Congress has had a close relationship with Monsignor Jorge Bergoglio for many years. We know his virtues and have no doubt whatsoever that he will do an excellent job for the church."